2018 has been a crazy year for smartphones. The competition in the smartphone market is really picking up with new and new smartphone manufacturers entering the mix and challenging older boys in the club. Pocophone, a sub-brand of Xiaomi, really grabbed headlines as the flagship killer’s killer. It rivaled the OG flagship killer with even a lower price for much higher specs, providing budget shoppers all around the world with an attractive option at a very low price. Then Oppo thought if Xiaomi can do this, why can’t we? And so Realme was born. The fight for top spot in the flagship department was also pretty damn hot. From Samsung fighting Apple over the notch and Mate 20 Pro blowing everyone away with its 3 cameras and impressive reverse wireless charging. Google entered the scenes too with a Pixel 3 camera that was even more impressive than already one of the best cameras on Google Pixel 2. We saw plenty of innovation too with the introduction of in-display fingerprint sensors and new innovative ways of hiding bezels by Vivo and Oppo. 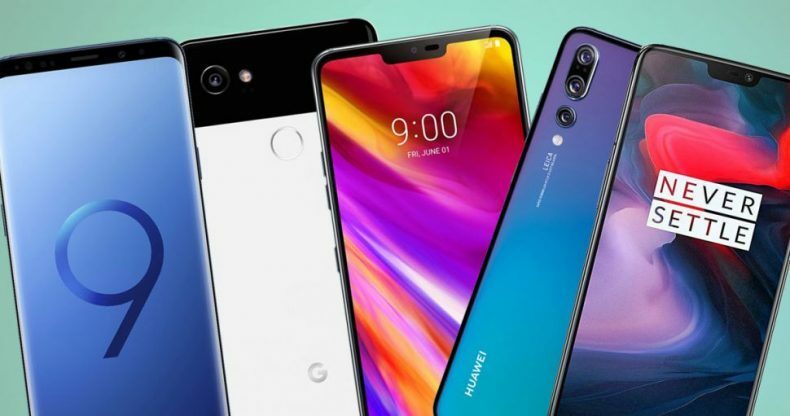 With so many different smartphones coming each year, it becomes difficult to keep track of what impressed us in the smartphone world this year. So we have compiled a list of top smartphones according to us for the year 2018. Note: Please keep in mind that this list is completely subjective and your opinions and experience might differ from ours. As is the tradition every year, and in the year 2018 too, the leading smartphone manufacturers came up with their respective flagship devices featuring the best of the best features. 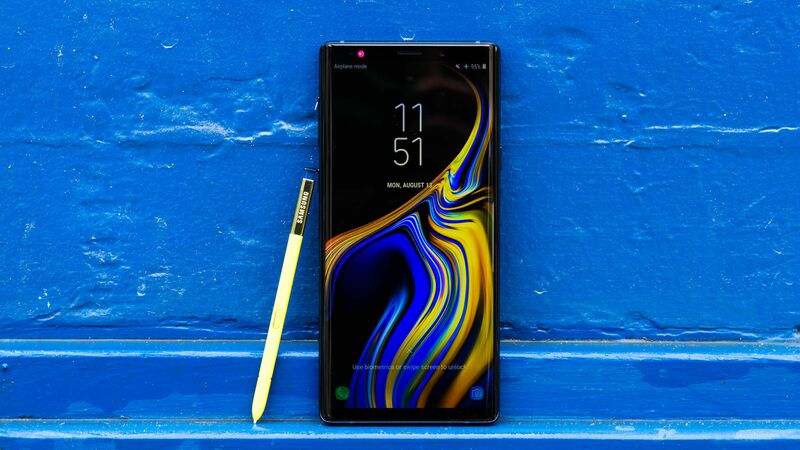 Samsung brought forward its flagship S9 devices along with the phablet Note 9, while the Cupertino-based Apple came forward with its iPhone XS models in the latter half of the year. Huawei was also seen making waves with its Huawei Mate 20 Pro smartphone. As far as our picks for the top three flagship smartphones are concerned, it would go like this. The phablet smartphone is one of the best smartphones for Android fans. The most premium offering from Samsung comes with probably the best specifications on market. The smartphone, although expensive, comes with a lot onboard. This is one of the first smartphones to feature a terabyte in internal storage and has a better battery as compared to the S9 models. The cameras on these smartphones are also one of the best in markets and have proven to boast one of the best low-light photography capabilities. The 6/8GBs of RAM extremely premium looking design and the S-pen also make it our favorite. The smartphone is available in Pakistan for as low as PKR 121,999. Read the complete specifications of this smartphone from here. The second best smartphone to be included on this list is none other than the Huawei Mate 20 Pro. The full-featured smartphone has a lot to offer to the Android fans at a lowered price bracket. The smartphones packs a phenomenal three lens-camera in a grid-sized section. The three rear cameras lenses come with a resolution of 40MP, 20MP, and 8MP while that on front packs 24MP. The smartphone features a large battery life of 4,200 mAh which is a real delight. It is also the first smartphone in the market to feature an on-screen fingerprint scanner. The smartphone has a price tag of around PKR 159,999. Read the complete specifications of this smartphone from here. 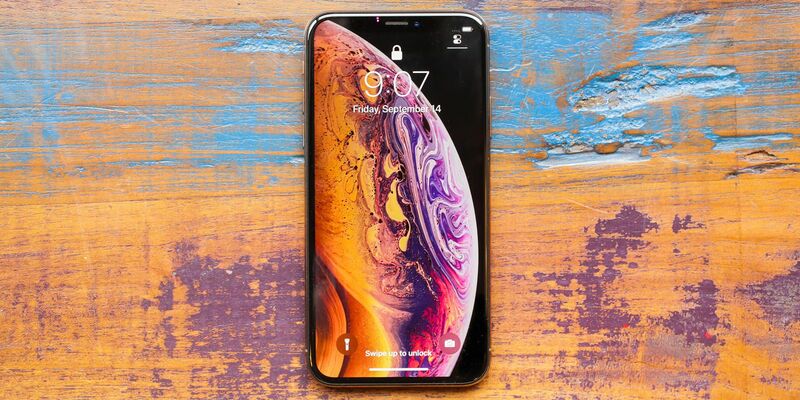 The third smartphone to be included on this list is top offering from Apple this year, iPhone XS Max. The smartphone was launched in September this year and has wowed a lot of users. The A12 Bionic chipset works flawlessly good, making this smartphone incredibly fast and powerful. Not to forget the Super Retina OLED display, which supports Dolby Vision, one of the most advanced HDR screens that could be found on market. Apart from the technological aspect which might not be able to justify the hefty tag on this smartphone, the smartphone packs a certain prestige and branding — making this smartphone very desirable for those willing to pay good bucks. The smartphone is available in Pakistan for as low as PKR 164,749. Read the complete specifications of this smartphone from here. Value-flagship smartphones, also sometimes known as flagship killer smartphones, are smartphones which come with close to flagship features at a much lowered price point. This space is created usually because of the large brand-name induced profit margins in flagships. Many new smartphone companies have now started filling this space too, and we have shortlisted the best of them. For this category, we have only considered the devices whose price was above PKR 60,000 but below the PKR 100,000 point. OnePlus has always been at the forefront when it comes to providing high features, wrapped in a really good design at very low prices. Often dubbed as the flagship killers, these smartphones come with very high RAMs and more often than not Snapdragon processors. 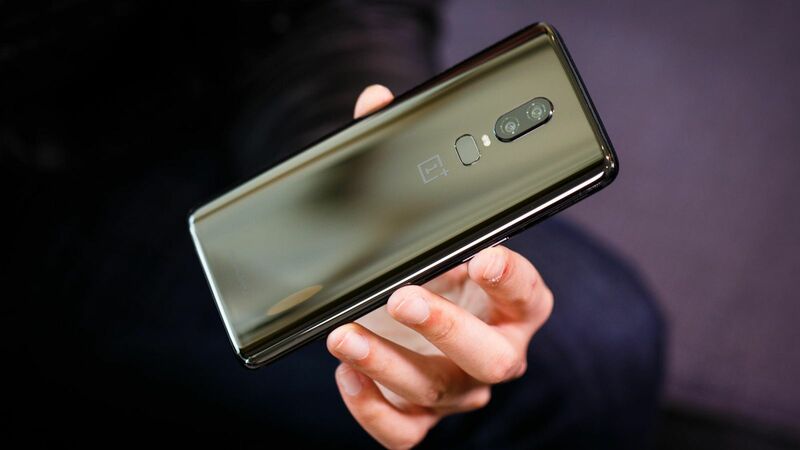 OnePlus 6 is also one such smartphone to pack exceptionally good features, not to forget, in a very catchy design. The smartphone packs 6/8 GBs of RAM and comes with a dual 20MP+16MP camera setup on the back. The 6.2-inch Optic AMOLED screen is protected by Corning Gorilla Glass 5 and revs on Snapdragon 845 processor. The smartphone has a 3300 mAh battery that supports fast charge. The smartphone has a price tag of around PKR 70,000. Read the complete specifications of this smartphone from here. Huawei released its P20 Pro smartphones earlier in March this year. Soon afer the launch, the smartphone was quick o grab attention of the critics because of the three camera lenses which it boasted. 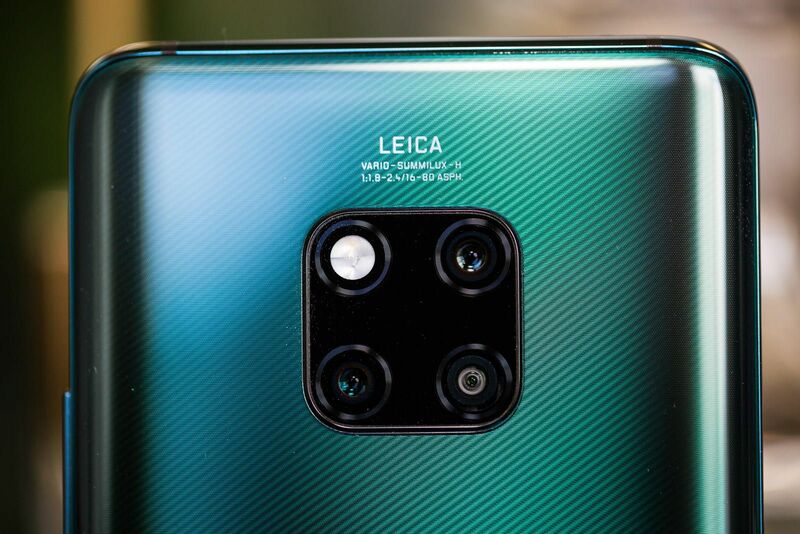 This was probably the first phone from Huawei to feature three lenses (40MP + 20MP + 8MP), each aiming at different focal lengths. The front camera, on the other hand, is a huge 24 MP. The camera section isn’t the only highlight of this smartphone, as it comes with a massive 4,000 mAh of battery which would easily be able to last up to two days. The RAM on this smartphone ranks at 6GB, combined with Kirin 970, this would just be enough to suffice for any of the computing needs which its smartphone users might come across. The smartphone has a price tag of around PKR 95,000. Read the complete specifications of this smartphone from here. Nokia has made a great deal of comeback after it went down the hill earlier this decade. The company has now resorted to developing Android-powered smartphones and is doing a good job at it. The latest flagship smartphone from Nokia is a Nokia 8.1. 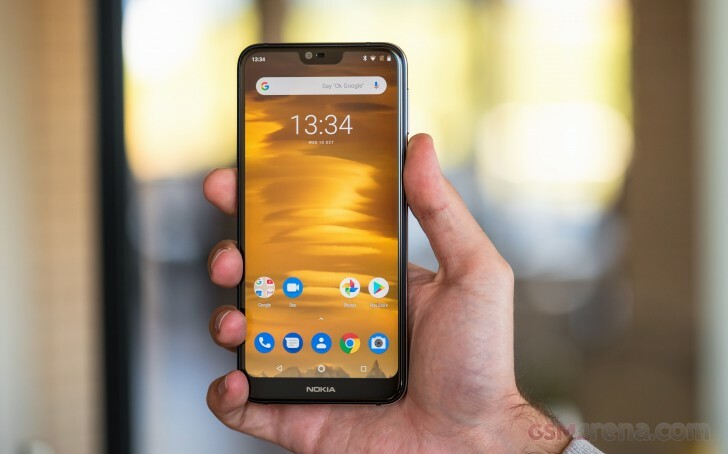 First things first, this smartphone from Nokia is an Android One smartphone which means it ideally comes with the one of the best OS-related optimizations that you can get in the market. The smartphone comes with Android 9.0 out of the box, and runs on Snapdragon 710 SoC along with 6GB of RAM. The smartphone comes with a dual lens for the rear shooter, one standing at 12MP while the other at 13 MP. The smartphone has a price tag of around PKR 69,000. 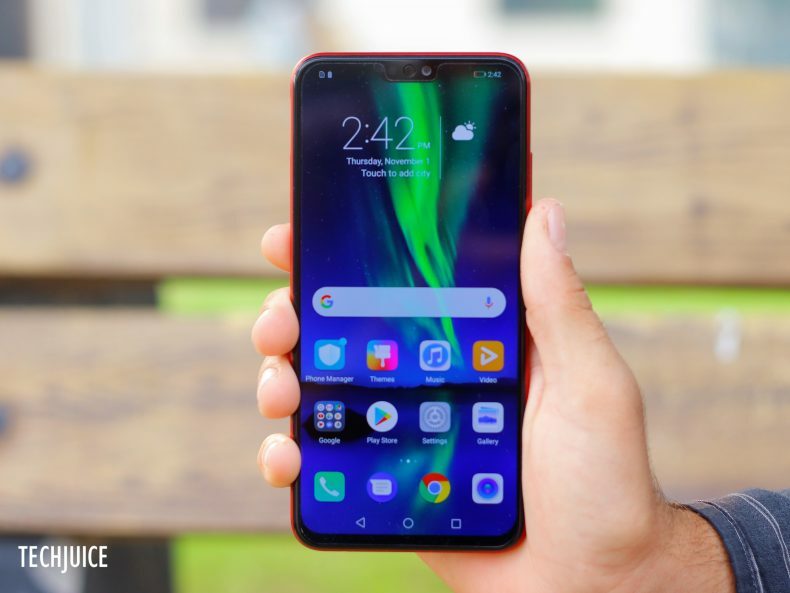 The midrange smartphone category is also one very important category that is often chosen by those low on budget but are still aspiring to get some good specifications. Brand name is not always an important parameter while choosing a smartphone from this category. the Like as expected, this range is brimmed with several smartphone giants from Sino region and we’ve picked the best of them. 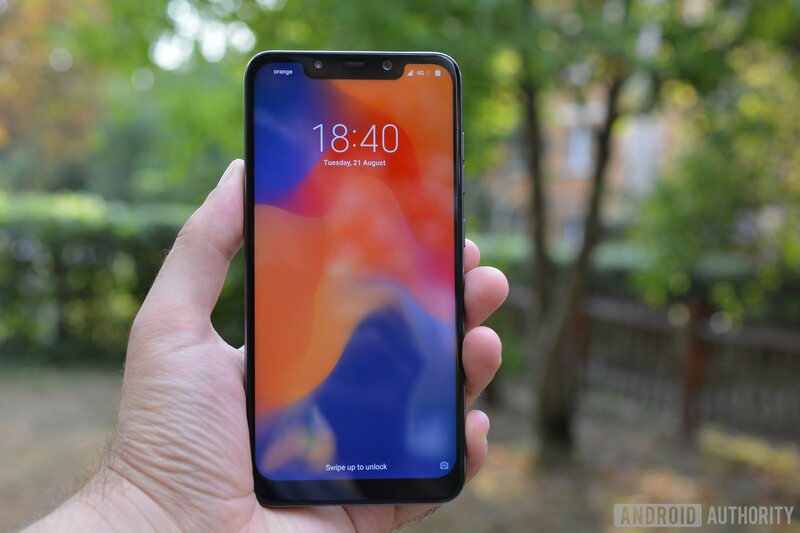 As already mentioned, Xiaomi has very recently come up with a flagship killer device of its own by the name of Pocophone F1. The smartphone comes in various variants starting from 64GB amounting to 256 GBs. 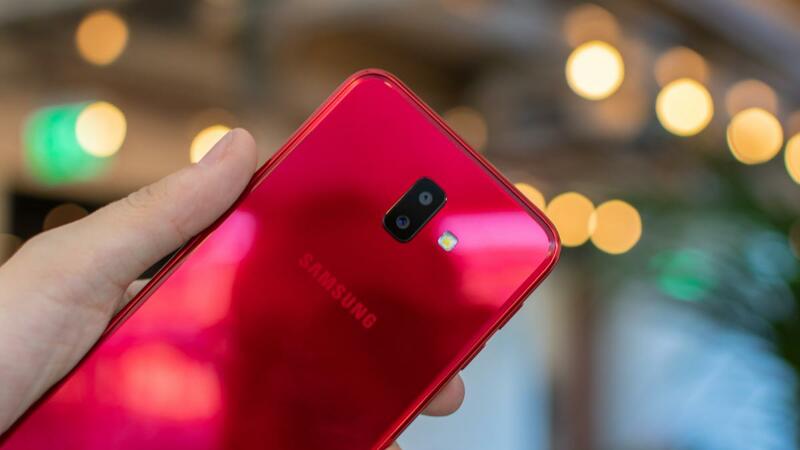 The smartphone has been included in this list, well because in this price range, it’s the only smartphone to pack the state-of-the-art Snapdragon 845 chipset. The smartphone also has a huge RAM of 6 GB which makes for another plus. For those always short on battery, this smartphone packs a considerably large battery of 4,000 mAh. In short, this smartphone checks all the good boxes and packs them in a low price. The smartphone is available in Pakistan for as low as PKR 45,999. Read the complete specifications of this smartphone from here. 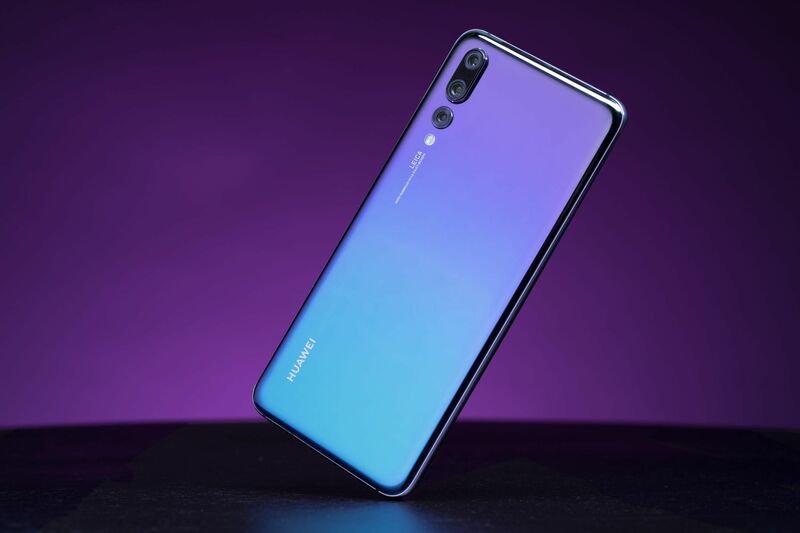 The budget and middle category smartphones can be found dominated by Huawei as the Chinese company has built up its repute by offering comparatively high specification smartphones in tight price ranges and too without compromising on the design quality. Huawei Honor 8X is another such newly released smartphone in exceptionally low price which packs an 18:9 screen. The smartphone packs 4/6GB of RAM with 64/128GB of internal storage, which makes it among one of the top options that you can get in this range. It has a dual lens setup for the rear as another essential and a fingerprint scanner. On another upside, the smartphone comes with a shiny glass back which looks very premium and good. The smartphone runs Android 8.1 Oreo out of the box. The smartphone is available in Pakistan for as low as PKR 37,499. The next phone on this midranger list is the newly released Nokia 7.1 smartphone. 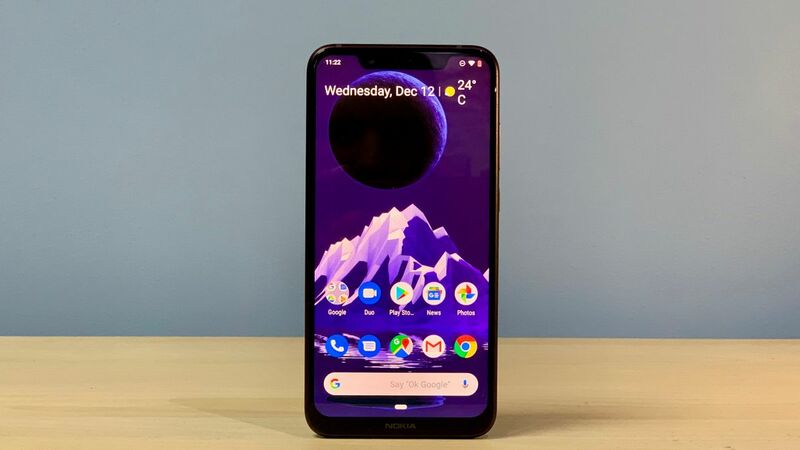 Similar to its much premium sibling Nokia 8.1, Nokia 7.1 is also an Android One smartphone which brings the best of Android operating system’s experience to the users. The smartphone has been targeted at midrange customers. At the heart of the smartphone we get a Snapdragon 636 supported with 4GBs of RAM, a set of internals which might not seem top-of-the-line but turn out to be quite competitive because of the Android One optimization. The smartphone’s battery also stands at 3,060 mAh which could problem some of the users. The smartphone is available in Pakistan for as low as PKR 39,000. Read the complete specifications of this smartphone from here. This is a very popular category, with more and more development going on to bring prices of mobile components down, the budget category has really improved over the last few years. Compared to a few years ago, the budget smartphones are actually usable these days. For this category, we have only considered the devices whose price was below 30,000 PKR. Although most of the budget smartphone recommendations are concentrated with models from Huawei or from Motorola. Xiaomi has also plunged in with a considerably notable offering with the newly released Xiaomi Mi A2 Lite. The sub $300 smartphone has a lot to offer to Android fans and comes with a premium looking 19:9 notch display, something we don’t usually see in this category. The premium finish combined with 64GBs of internal storage and 4000 mAh in battery also makes it one of our favorites in this category. The smartphone comes with dual rear cameras which are able to produce really good results for the price point. The smartphone is available in Pakistan for as low as PKR 24,799. Read the complete specifications of this smartphone from here. The third smartphone from this list is from Samsung. 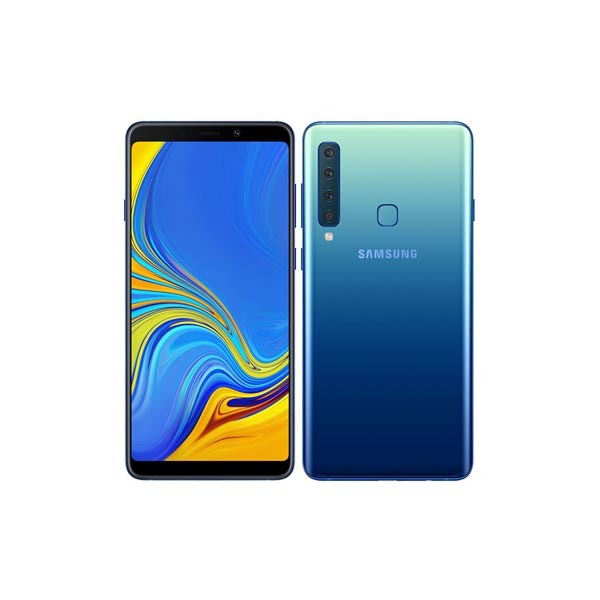 Although a bit expensive than its competitors, this is one of the latest smartphones from Samsung in this category and, in that, it’s one of the fewer ones to come with a dual camera at the back. The smartphone runs Android 8.1 Oreo and comes with 4 GB of RAM, like its competitors. The smartphone has an internal storage of 64GB to suffice for most of the user’s data related requirements. The smartphone has a 13 MP + 5 MP camera at the rear and for the front, it’s using an 8 MP sensor. 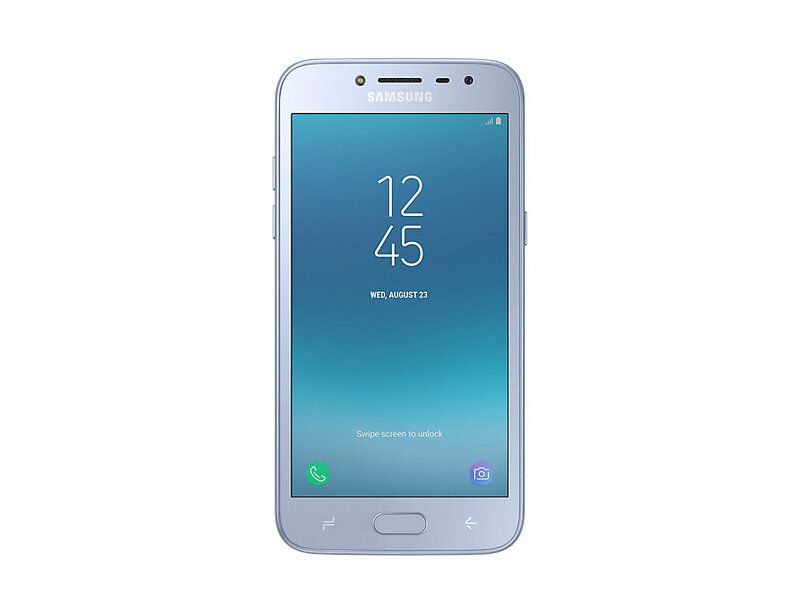 The displays on Samsung have been a prime feature because of its specialty in Samsung Display, and so is the case with the 6-inch display on this smartphone. The smartphone has a shiny glass-like finish which makes it very premium looking, not bad for a sub PKR 30k price bracket phone from Samsung. The smartphone is available in Pakistan for as low as PKR 29,999. Read the complete specifications of this smartphone from here. The best smartphone from Infinix makes for another top of the line smartphone in this category. The smartphone was one of the first ones to come up with a dual-lens rear camera section and does a pretty good job at it. 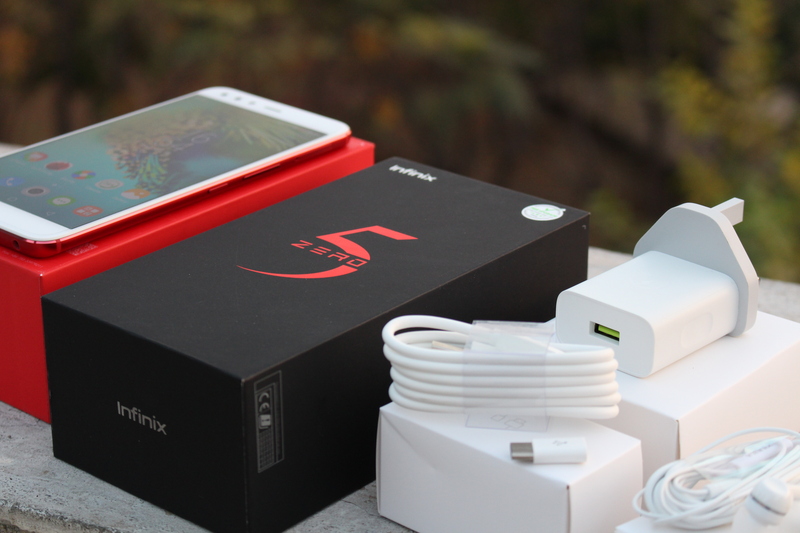 The prime of this smartphone is the huge 6GBs of RAM that it packs in such a low price. The smartphone has an Octa-core processor and a crisp display, not bad at this price point. Moreover, packed with fast charging feature, the battery on this smartphone is one of the best which you can get from the whole of the smartphone industry, even flagships included. The smartphone is available in Pakistan for as low as PKR 29,000. Read the complete specifications of this smartphone from here. That was pretty much it. A lot has gone into doing the research and compiling the list by checking all the required boxes. Do let us know in the comment section below if we have missed anything.